Have you ever looked at a logo and found it more appealing then others, but could never quite figure out why? How about when you see a color and you feel more drawn to it then others, can you figure that one out? Why is it that black doesn’t make us feel as happy as say, the color yellow? That’s because there is a whole psychology behind colors and how they affect our moods and our minds. There is a reason why people prefer certain colors over others. This preference says volumes about our personalities, because each color has an association with a reaction our brain has when we internalize it. 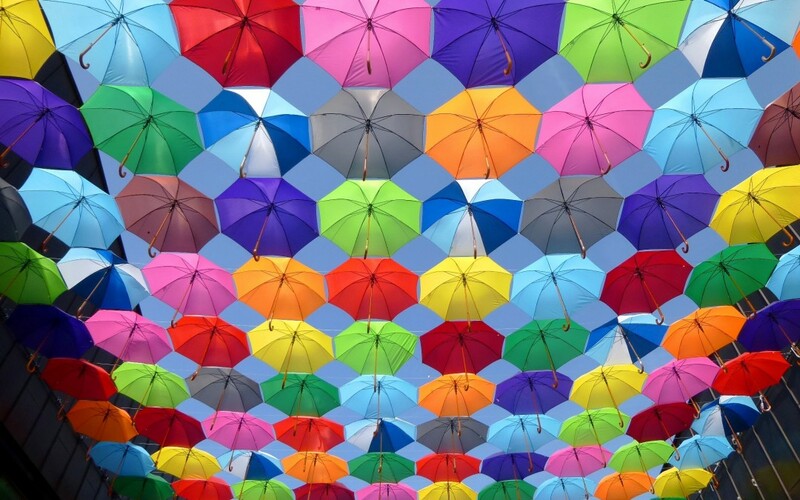 Color psychology is a well-known, yet less explored branch of the study of how our brain perceives what it visualizes. As far as scientific research goes, there is not much to work with. However, the impact that colors have on our brains is used to manipulate our decision making. Take a look below to see exactly what each color represents and what effect it can have on your mood and mind. Red is associated with energy, war, danger, strength, power, determination as we ll as passion, desire, and love. It attracts attention more than any other color. Combines the energy of red and the happiness of yellow. Associated with joy, sunshine, and the tropics. Represents enthusiasm, fascination, happiness, creativity, determination, attraction, success, encouragement, and stimulation. Associated with joy, happiness, intellect, and energy. Produces a warming effect, arouses cheerfulness, stimulates mental activity, and generates muscle energy. Bright, pure yellow is an attention getter, which is the reason taxicabs are painted this color. When overused, yellow may have a disturbing effect. It is known that babies cry more in yellow rooms. Yellow indicates honor and loyalty. Later the meaning of yell ow was connected with cowardice. Green is a color of nature and symbolizes growth, purity, freshness, and fertility. Strong emotional correspondence with safety. Green is known to have great healing power and suggests stability and endurance. Color of the sea. It is often associated with depth and stability. Symbolizes trust, loyalty, wisdom, confidence, intelligence, faith, truth, and heaven. Considered beneficial to the mind and body. Slows human metabolism and produces a calming effect. Strongly associated with tranquility and calmness. Used to symbolize piety and sincerity. Combines the stability of blue and the energy of red. Associated with royalty. It symbolizes power, nobility, luxury, and ambition. Conveys wealth and extravagance.Associated with wisdom, dignity, independence, creativity, mystery, and magic. White is usually known to be associated with light, goodness, innocence, purity, and virginity. Considered to be the color of perfection. Signifies safety, purity, and cleanliness. Usually has a positive connotation. Can represent a successful beginning. Associated with power, elegance, formality, death, evil, and mystery. Black is known to be a mysterious color linked to fear and that of the unknown. Usually has a negative connotation. Denotes strength and authority; it is considered to be a very formal, elegant, and prestigious color. It can also be considered a symbolic color of grief. Are you interested in incorporating certain colors into your logo? Give us a call today for a consultation on creating the perfect logo for you and/or your company.